It is a sad fact of business life that around half of new start-ups fail within the first year, and a significant further proportion fail in the first three years. However, this alarming statistic should not put you off starting a new business as, with the proper planning and a sound business approach, there is no reason why you should not be successful. You just need to be aware of the common traps that new entrepreneurs can fall into. A surprising number of new enterprises do not have a proper business plan. This is almost a guarantee of failure, as the plan underpins everything that you do in business. Without it, you will not know if your idea is likely to work, what you are going to be doing, or how you are going to do it. It is not sufficient just to have an initial plan: you need medium term and long term plans as well, to ensure that you keep on track. All successful businesses have these plans, and consult them regularly, making adjustments as required. Part of your initial planning must be researching the market. If you are offering a new product or service, how do you know that people will want to buy it? If there are other competitors in the market, what makes you different? Why will people want to buy from you rather than from their existing supplier? You need to be very clear about your unique selling point (USP) and about your competitive edge. If you are entering a crowded market and you do not have something new to offer, you will not succeed. Another common problem is not planning on the basis of accurate calculations. You need to work out how much you will be selling your product for, and how much it will cost to produce. Remember to factor in all your overhead costs, including marketing and interest payments. Then you need to make an allowance for the eventual replacement of capital items, and to put amounts aside for tax and your own living expenses. 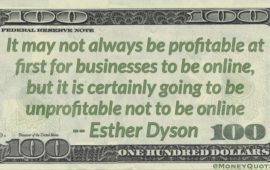 If your projections do not show a profit, then the business will fail unless you can find a way of increasing your sale price or reducing your expenses. There are two further very important things you need to consider in your financial projections. Firstly, do you have enough capital for your start up expenses and to keep you going until you make a profit? Secondly, have you made provision for cash flow problems? Cash flow can be a major issue for new or expanding businesses. No matter how good your products or services, people will not buy them unless they know that you are there. They also need to know what you do, and why you are different. Marketing is not just about sales and advertising: you need a proper marketing strategy. This means knowing exactly what part of the market you are targeting, and the best way of reaching those people. If you do not do this, you are likely to find that your advertising has a scattergun effect, only randomly reaching your likely customers. A business is a business, not a way of making money from gardening, or building boats, or anything else you think you might enjoy. You certainly need to know what you are doing, and it is helpful if you enjoy it, but it is essential that you want to run a business and to get involved in finance, marketing and all the other things that running a business involves. However, if you are sure that you are committed to running a business, and if you do the proper planning, you are much more likely to succeed.